Home » How Long Does it Take to Get a Divorce in Tennessee? In Tennessee, most divorces last two months to six months. But it could take 18 months or two years if the divorce is hotly contested or if the estate has complex assets which may need expert valuation. Divorce can take even longer in the rare case. According to Tennessee law no initial divorce hearing can take place less than 60 days after the complaint was filed. And if there are minor children of the marriage, then 90 days must pass. See Tennessee Code Annotated § 36-4-101(b). To prepare for Tennessee family court proceedings, both spouses should be aware of how long it could take to obtain their divorce and, also, what they might do to keep the process moving along smoothly. For instance, by giving negotiations and mediation their best efforts and to avoid litigation whenever possible. 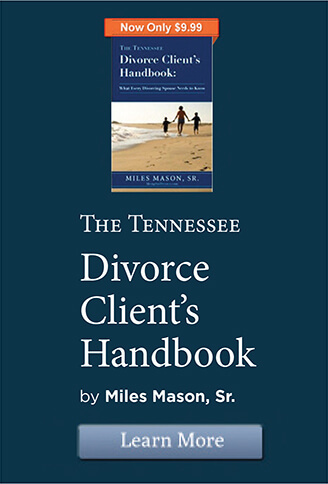 With every divorce action filed in this state, there has to be a connection between Tennessee and the parties, the children, and the subject matter. If the court cannot assert jurisdiction over the divorce, then the case must be dismissed. There is no point in wasting time, money, and resources filing in Tennessee if the court lacks legal authority to hear the case. Has a spouse lived here for six months or longer? One of the spouses must at least be a six-month resident of Tennessee to initiate the case here. This is to establish domicile. An exception to the six-month residency requirement may exist if emergency grounds for divorce arise within this state. T.C.A. § 26-4-104(a). For example, if a spouse has only been a resident for four months, then one option is simply to wait another two months and then file. If that is not realistic or feasible, then filing for divorce in some other state where residency can be established may be a better option. Are the spouses living separately in different states? When spouses reside in different states, it may be more practicable to file in the state where the other spouse resides (of course, depending on the particular circumstances). What is more practicable and efficient could save time. There is no guarantee that any divorce, however amicable and straightforward, will proceed like clockwork. Delays are always possible. Do the Spouses Have Minor Children? To make child custody determinations (legal decision-making and parenting time), generally, the child’s home state for the past six months must be Tennessee. T.C.A. § 36-6-216. One legal exception could be domestic violence. This is another important jurisdictional consideration. Determining whether Tennessee is the child’s home state can be complicated and confusing, often taking additional preparation time and court hearings to sort out. There is no waiting period before filing beyond satisfying the residency requirement. How long the spouse takes to prepare the initial pleading – the complaint for divorce – will depend, in part, upon the alleged grounds for divorce and whether the spouses have minor children. Is a spouse requesting a name change? A spouse may include a request for name change in the complaint for divorce. This saves time and money by eliminating the need to file a name-change petition later on. This can be a simple order entry by the court if there is compliance with all other name change requirements and restrictions. Is defendant’s location unknown? If the whereabouts of the other spouse are unknown, then publishing notice in a newspaper in the county where he or she last lived may be necessary. Service by publication should only be used when all other methods have failed and could take several weeks, or longer to accomplish. The judge may require continued efforts to notify the defendant by newspaper advertisement over an extended period, depending upon the circumstances. Once served with the summons and complaint, the defendant-spouse has 30 days to answer the allegations by filing his or her responsive pleading and any counter complaint for divorce. Is one party a military spouse? When the other spouse is in the Armed Forces on active duty or deployed, the Servicemembers Civil Relief Act (SCRA) can give that military spouse more time to file a responsive pleading. See 50 U.S.C. App. §§ 501, et seq. Very generally, the SCRA protects the rights of service members’ by allowing for postponement of civil lawsuits (divorce, child custody, bankruptcy, foreclosure, and more) and administrative proceedings in certain situations. With divorce proceedings, the SCRA may delay the time to file an answer, allowing the military spouse a reasonable opportunity to prepare for the family law proceedings. Do the spouses have a child? When there is a child of the marriage, both parents will take a court-approved parenting class on the impact divorce and custody proceedings can have on children. Because a certificate of completion required, the parenting class is a must. The program only takes fours hours and scheduling is flexible. In divorce with children, the court will also order mediation with a facilitator to encourage spouses to resolve parenting issues and work toward a mutually agreeable parenting plan. Mediation, which is alternative dispute resolution, may take several sessions with the mediator, especially with high conflict custody cases. The parties have a great deal of control over how long the mediation takes and whether it is largely successful at removing issues from the trial agenda. Have the spouses settled? Settlement is the shortest path to a speedy divorce, if there is such a thing. When spouses have a settlement agreement (called a marital dissolution agreement) and a parenting plan agreement if applicable, the case almost always proceeds more quickly. A trial will not be necessary if the court approves the settlement. 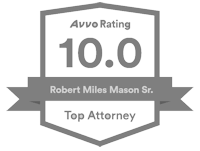 In contested cases, though, the discovery process and taking depositions can involve lots of attorney hours. Often there are numerous pre-trial motions filed and associated hearings scheduled, with the judge ruling on those motions. Counting from the date of filing the complaint, no divorce shall be heard by the judge until at least 90 days has passed if there are children. Or if no children, then 60 days after the complaint is filed. The hearing may be set, but it cannot take place until the waiting period has passed. This relatively brief period is an opportunity for couples to let their emotions cool and consider the possibility of reconciliation. 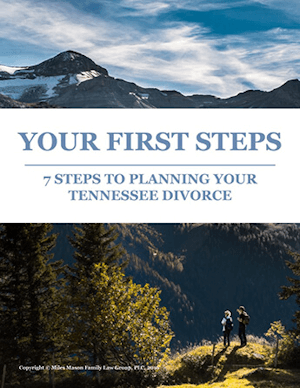 Contested Divorce in Tennessee: Will There Be a Divorce Trial? Is the divorce uncontested or contested? With an uncontested divorce, both parties agree on everything. There are no disputed issues for the judge to determine. Plan for the 60-day or 90-day waiting periods, discovery, any required proceedings, plus adequate time for the court to enter its decree. If contested, however, then the divorce could take anywhere from six months, to 18 months, to more than two years. How much conflict is there? 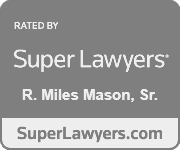 High conflict cases may take more time because spouses are less inclined to settle on periodic alimony, for example, or how their respective retirement plans should be equitably distributed as marital assets. In trying the case, each contested matter brings a certain level of complexity. For instance, final decision-making authority and who shall be the primary residential parent often requires a forensic child custody evaluation. The forensic child custody evaluator’s process could take six months to a year. The trial itself could take one day or last weeks. Some cases are tried over a period months. Everything depends upon the specific circumstances, the issues to be determined, and how complex those issues turn out to be. For instance, a contested child custody case may involve expert witness testimony from a child psychologist or child psychiatrist. A battle of the experts will involve even more time in the courtroom. If the judge takes the decision under advisement, then it could be another week or more before the divorce decree is entered. Thereafter, a request for reconsideration could be filed by a party who is dissatisfied with the trial court’s final judgment. If the court grants the request, then reconsideration could delay a final decision even longer. Either or both parties may appeal the court’s final judgment. A timely appeal must be filed within 30 days of entry of the final decree. Getting the case reviewed by the Tennessee Court of Appeals could take six months to 18 months.